On this website we collect information such as your email address and name. 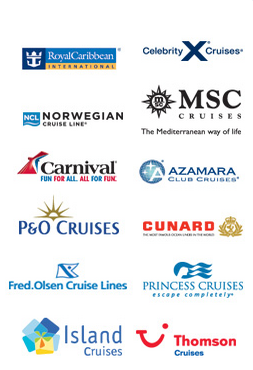 We use this to contact you with cruise offers and information. We will not sell or rent the personal data that we store. You can unsubscribe from our emails at any time by clicking the link in each email. This will remove your personal data from our database. 1) Storing your preferences so you don’t have to fill in forms more than once. 2) Tracking (anonymously) users time on site, pages visited etc. This information can be aggregated and used by us to help better understand how people interact with this website and how we might improve the display of information. 3) We allow some third parties, including Google, to serve cookies on these web pages. The use of these cookies may include those which collect information about your browsing habits on this website in order to make advertising more relevant to you and your interests. Visit Google’s Ads Preference Manager where you can view and edit which categories are related to you and your interests. Visit YourOnlineChoices.com where you can see which companies have active cookies on your computer and where you can turn off active cookies from these companies.